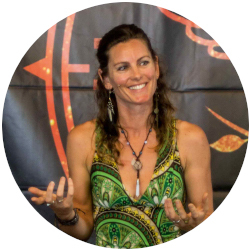 Kara-Leah is an internationally-renowned retreat leader, teacher and author. She has impacted millions of people over the last decade through her articles, books, videos and teaching. Passionate about liberation in this lifetime, KL practices and teaches an every day path of dissolving layers of the conditioned mind into deeper and deeper heart-felt presence. Her work, through her teaching, writing and retreats, focuses on using the process of compassionate inquiry to reveal conditioned mind and so help people to drop down into beingness and presence.